There is never a dull moment here at Tongariro National Park and as we wind down from the 2018 ski season, we are gearing up for a fantastic summer. With holidays just around the corner, we’ll soon be looking for ways to cool off under the summer sun. What better way to beat the heat than with the many Tongariro water activities? It’s no secret that we believe the Tongariro region is the best part of New Zealand. The landscape here is an outdoor adventurer’s dream, yet it is also the perfect location for those who prefer calm, quiet holidays. Tongariro water activities are suited to both the thrill seeker and the relaxer. From exciting river rafting to casual kayaking, Tongariro National Park’s surrounding waters are home to a variety of amazing experiences. Let’s take a look at what these are. The beauty of kayaking is that it requires no skill or experience to get out there and enjoy it. Right here in the Tongariro National Park and only a couple of minutes from The Park Hotel is Adventure Outdoors Tongariro. The team at Adventure Outdoors take kayaking tours through the Whakapapa River. The clear water comes directly from Mt Ruapehu and the river is surrounded by native bush and wildlife. 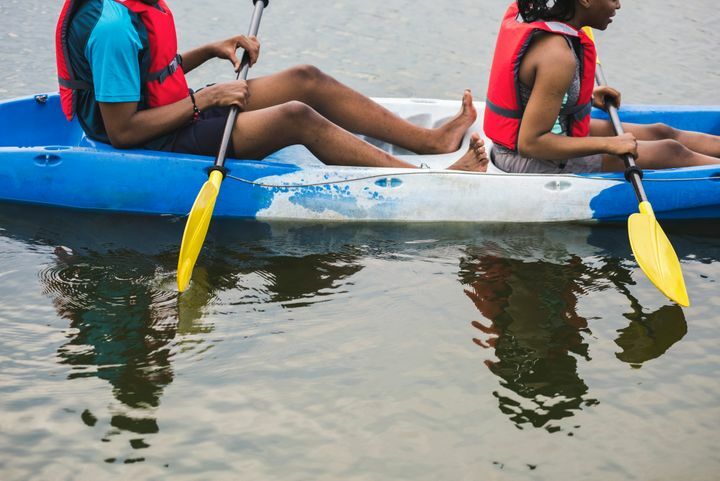 Using inflatable kayaks, it is virtually impossible to capsize. These kayaks offer easy maneuverability for all skill levels. With a few mild rapids along the way, these kayaking adventures are easy yet exciting. A great activity to share with the whole family or with a group of like-minded adventurers. The team at Tongariro River Rafting have a range of different rafting experiences on offer. You don’t need to commit to the challenging white water of the Tongariro River (unless you’re up for it!). Tongariro River Rafting have all kinds of adventures, ranging from family floats to adrenaline-pumping river rapids. 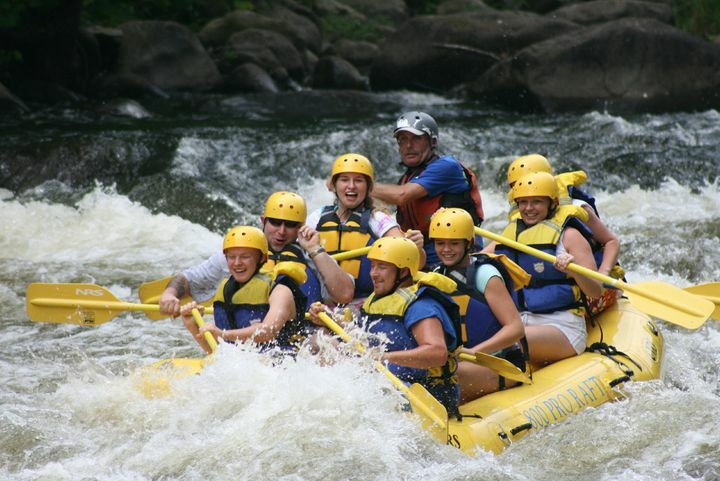 These fun-filled river rafting adventures are suited to anyone aged 10 to 60 years old. With safety at the forefront of all that they do, you’ll know you’re in good hands. If you really don’t want the fun to end too soon, take a multi-day Tongariro raftering trip. Set up camp on the water’s edge and enjoy the river for as long as you can. With great food, friends and a lot of laughter, multi-day adventures create memories to last a lifetime. Our friends at My Kiwi Adventure offer one of the most unique experiences in Tongariro National Park. 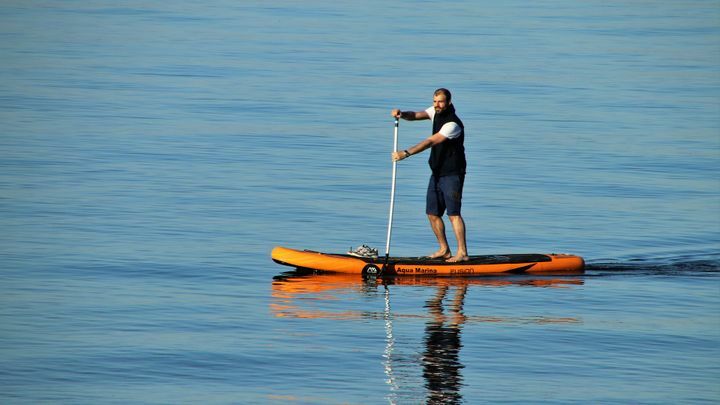 Stand up paddle boarding has become increasingly popular over the last few years with many taking to the ocean on a calm summer’s day. But have you tried it alpine-style? At 616 metres above sea level, paddle boarding on Lake Otamangakau lets you see Tongariro from a whole new perspective. With all the gear provided and an experienced team by your side, you’ll enjoy every second of this blissful adventure. My Kiwi Adventure SUP tours are exclusive to the summer months so if you’ve been thinking of giving this a go, now is the time! Whatever the season, fresh water fishing is something many people come to the Tongariro region to enjoy. But it’s safe to say that with the summer sun on your back, wading the crisp waters of the Tongariro River is much more comfortable! With Turangi only a 35 minute drive from The Park Hotel, you can be in “the trout fishing capital of the world” in no time. 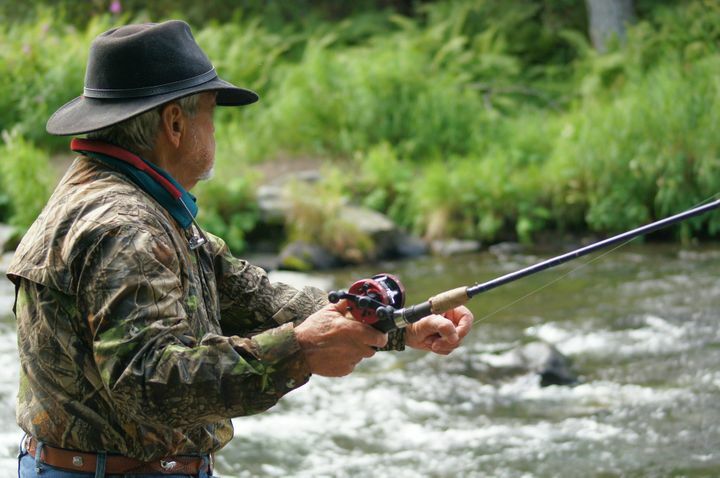 The Tongariro River is home to both salmon and trout and a very popular fishing location for anglers of all ages. With such an abundance of Tongariro water activities available, we can be forgiven for forgetting that, which is the most obvious in the summer time: swimming! Supplied with water straight from the mountains, the water is clear and fresh. Swimming spots in Tongariro National Park are a mix of lakes, rivers, streams and public pools. Here at The Park Hotel, we certainly have our favourite spots, many of which come with picnic spots and plenty of shade. With the sun bearing down, the freshness of the water is a wonderful reprieve from the heat. For all self-guided activities, we recommend doing your research in order to stay safe out there on the water. We are happy to advise where the best spots are and how best to ensure your personal safety. We also have the Tokaanu Thermal Pools close by in Turangi which is a public facility supplied by natural thermal water and steam. Tongariro water activities are just some of the many reasons we love summer here at The Park Hotel. 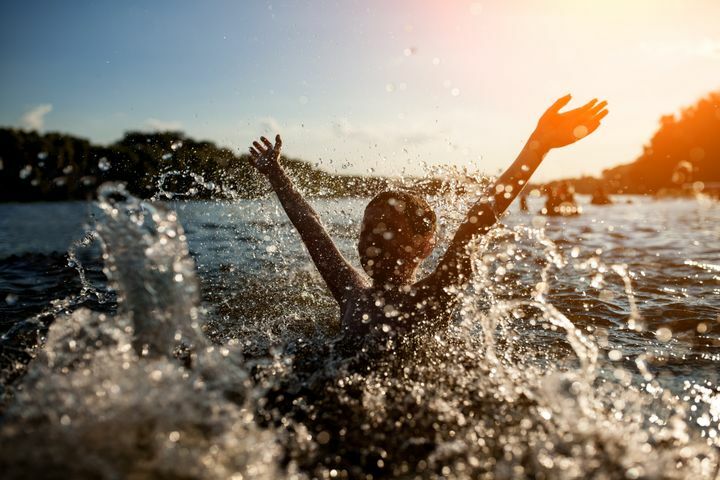 Being central to so many companies offering guided water adventures, staying with us opens you up to a world of fun-filled activities on your summer holiday. Dates over summer are filling fast so call us today and book your holiday in this unique and spectacular part of New Zealand.